Whether you believe the Supreme Court is heading toward a precipice or redemption, there is no longer any doubt it is moving, rapidly and intensely, toward the right. You take a reliably conservative justice and expect him to hold the Supreme Court's moderate middle and what do you get? Disappointed. You take a moderately conservative Supreme Court and you replace its most pragmatic centrist with a rigid, starboard-facing ideologue and what do you get? The Roberts Court, circa 2007. Two things are directly responsible for the Court's marked turn to the right this term — and you don't need to be a legal scholar to understand either. One is a matter of math; one is a matter of art. The mathematical equation simply tracks the significant ideological differences between Sandra Day O'Connor, the former politician who ranged the Court's center, and her successor, Justice Samuel A. Alito Jr., who has proven to be able to deliver to his conservative benefactors precisely the votes they had hoped for when they accepted his nomination a year and a half ago. It was Justice Alito whose vote in Gonzales v. Carhart helped deliver from despair the Congressional ban upon a type of what the law calls a partial birth abortion procedure — and, in the process, undercut the precedent set forth in Roe v. Wade. It was Justice Alito whose vote in Ledbetter v. Goodyear helps hamstring employees seeking remedies for past workplace discrimination. It was Justice Alito who in Bowles v. Russell voted against a man's right to a hearing because the man had relied (reasonably enough, wrote the dissenters) upon federal trial judge's deadline that turned out to be wrong. It was Justice Alito who in Hein v. Freedom From Religion voted to block taxpayers from complaining about the executive branch's self-promotion of religion. In each of these cases, and many more, the Court's self-professed Hamlet, Justice Anthony M. Kennedy, could have done something to change the outcome — but didn't. The man anointed by deep thinkers in the media — and also me — as the likely "new" swing vote on the Court, the successor-in-interest and moderation to O'Connor, didn't, in the end, look or talk or act like any sort of savior for independent or soft-right causes. Instead, Justice Kennedy voted in the vast majority of cases — the big global warming case and Thursday's public school affirmative action case being the remarkable exceptions — the way you would expect any appointee of Ronald Reagan to vote. When you combine Justice Kennedy's general inability or unwillingness to become the new O'Connor model for moderation and add to that Justice Alito's eagerness to tack to O'Connor's jurisprudential right, you get a strong, vibrant Supreme Court majority this term that was even more willing than its recent predecessors to overturn existing precedent to come to a decision — especially when that decision skewed right. This in part thanks mostly to the two newest justices who pledged up one side of the Senate confirmation hearing room and down the other that they would show great deference to the past rulings of the Court. Not so much. No one should be surprised. It was as predictable as humidity in Washington in August. President George W. Bush promised during the 2004 election that he would, if given the opportunity, turn the Court rightward — and on this promise, at least, he has succeeded. Senate Democrats, especially those on the Judiciary Committee, saw this trend coming, too. They warned over and over again during the Alito and Roberts confirmation hearings that the nominees were playing possum; hyping up their humility while downplaying their ideology. In the case of Alito, especially, they were correct. It doesn't matter whether you call these folks the Roberts Court, or the Kennedy Court or the Alito Court. The result is a Supreme Court that this past term consistently sided with big business interests over consumers; with employers over employees; and with law enforcement goals over individual rights. It is a Court that is more conservative than was the Rehnquist Court, which was more conservative than its predecessor, the Warren Burger Court, which of course was more conservative than the Earl Warren Court. When a Reagan appointee like Justice Kennedy is the last best hope for moderates, you know where you can find the gravity of the Court. 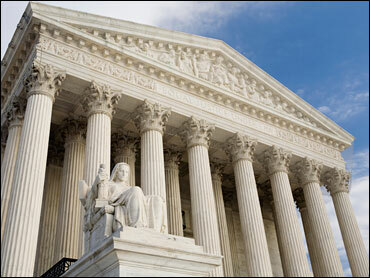 In fact, even on the last day of the term, while most of the country's attention was riveted upon immigration reform and the justices' own tepid and ambiguous pronouncements on schools, the Court's conservative majority overturned a 96-year-old legal precedent that had until Thursday outlawed minimum-price deals between manufacturers and distributors. It's no small wonder then that Justice Alito was heralded last week by a business publication for his service to the cause; the man sided with the U.S. Chamber of Commerce in 13 out of 14 cases this term, Bloomberg reported. It's also no shock that tension rippled to the surface on the last day of the term. Justice Stephen Breyer reportedly appeared ready to leap out of his chair when Chief Justice Roberts compared the "victims" of current school policies in Seattle and Louisville, Ky., with the "victims" of the nation's odious "separate but equal" policy toward schools that was famously erased in 1954 and later by Brown v. Board of Education. Justice John Paul Stevens called Roberts' remarks — citing Brown to rule against integration — a "cruel irony." Let there then be no more silly and condescending talk from the Chief Justice about trying to bring consensus and even unanimity to the Court. It is today as fractured as it has been in a generation, with no apparent relief in sight. Let there also be no more talk as we head into another election cycle about the significance of presidential contests in shaping the makeup of the Court and therefore its jurisprudence. Whether you believe the Court is heading toward a precipice or redemption, there is no longer any doubt it is moving, rapidly and intensely, toward the right. Its newest members are leading the way, and its center has not held. The nation has the Court it said it wanted — and, indeed, the Justices it deserves.